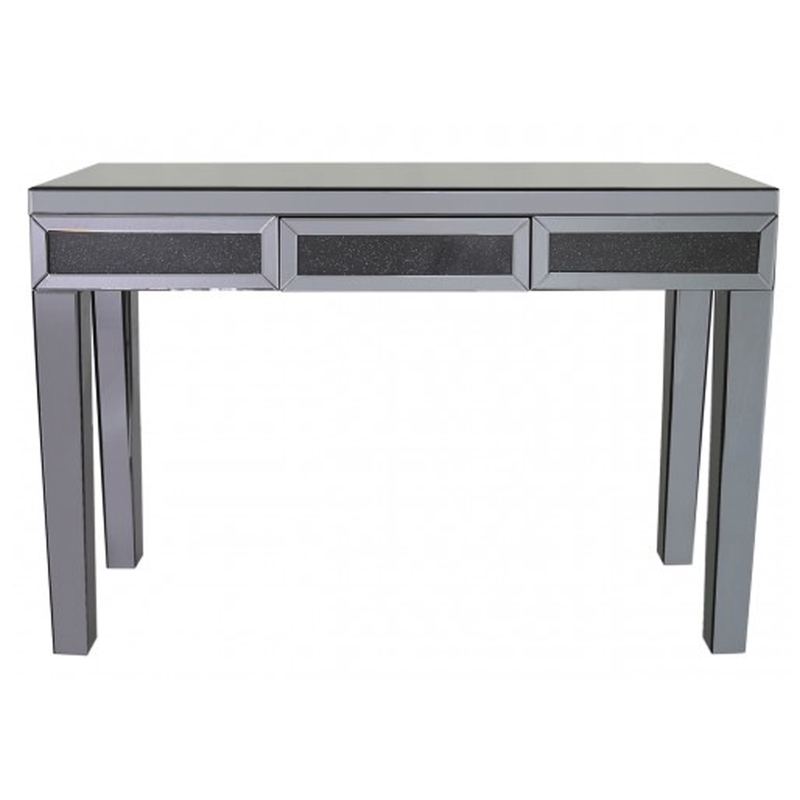 Introducing a brand new addition to our the vast range of venetian mirrored furniture, coming from the Siena Collection this beautiful Smoked Siena Mirrored Console Table is ensured to give your interior an instant upgrade. With a complete mirrored exterior and crushed crystal design. Also, includes drawers for all your storage needs.